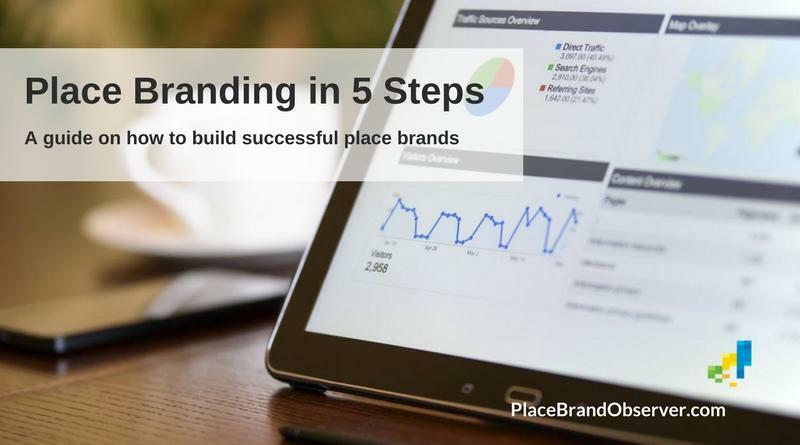 The 5-step approach to place branding presented here was originally developed by Robert Govers, Erik van ‘t Klooster and Gerard Van Keken for the PlaceBrandz project. Now part of our series of how-to guides, its purpose is to offer professionals hands-on advice on the branding of cities, regions, destinations, neighborhoods or countries. Ideally, a place branding project intends to build an overall perceived image, regardless of priorities in mission when it comes to targeting tourism, investments, exports or talent. In practice, many places have different organizations that are often building their own different brands. Such a fragmented approach tends to be ineffective as the mind of the investor, tourist and potential migrant, are often united in the same person. Therefore, it is important to build a single overarching and unifying brand, which is then adjusted and positioned to match the needs of certain segments such as tourists, business or creative talent. This way the branding effort leverages potential synergies. The place branding project starts with the development of a shared vision, which is subsequently translated in a mission and specific objectives. The place branding project should start with a realistic, yet inspiring, vision of the future, which is co-created by a group of relevant stakeholders. The best visions focus on the development of a scenario that raises the competitiveness of a destination in a sustainable way. In general, a sustainable competitive advantage is based on unique distinctive resources or core competencies that are superior to those possessed by competitors and difficult to imitate. Superior resources can be found in both the natural environment (climate, resources or landscape) and cultural heritage (sites reflecting place roots in terms of a history, religion or other cultural expressions, such as the arts, architecture and design). The competitive advantage of a place can also be created by building upon the host communities’ core competencies. These competencies include specific business expertise, socio-cultural values and organizational capabilities (e.g. the historical organization of civil society or the staging of conferences or events). In the objectives section, the mission statement is synthesized in a set of individual goals. Each goal addresses the specific results that need to be achieved with regard to certain target audiences (including visitors, residents and business). Result areas that can be specified are market standing (place rating); innovation; productivity level; financial returns and standard of living. As with any strategy, it is crucial to underpin decision-making with a thorough analysis. It requires insight into three major perspectives: place identity, perceived place image and projected place image. After the individual examinations, the three major perspectives need to be aligned in order to develop a strong and consistent brand positioning. In particular, the alignment with the identity of the place is key to make the place brand offer authentic and distinctive in order to build reputation based on a coherent, compelling, unique and omnipresent sense of place. Place identity refers to the unique distinctive characteristics and meanings that exist in a place and its culture at a given point in time. The characteristics are constructed through historical, economical, political, religious, social and cultural discourses. Hence, place branding starts by studying the elements that make up the identity of place (see table below). These elements can be uncovered by several methods, which complement each other. First, focus group sessions with key stakeholders in the branding process (public actors, representatives of private sectors and civil society). Second, it can be useful to study historical documents from libraries and museums, as well as interview historians and academics with local knowledge. Third, resident perception surveys of local identity might prove useful. Resident surveys can be based on input from secondary sources, but another option is to conduct qualitative preliminary investigations or larger scale qualitative primary research per se. There are tried and tested methods, using pictures or objects as metaphors (stimuli) for respondents to reflect on their perceived identity can be very powerful. With regard to the latter option it is quite attractive for the media to get involved and possibly link it to contests and cross-media viral initiatives. In the most positive scenario the foundations are built for the local community to become a prominent co-creator of their place image, thereby contributing to pride, sense of belonging and possible future supportive behavior. However, such a co-creation strategy should be developed with care to mitigate potential political risks, because even though place branding is about linking place image with a ‘true identity of place’, we have to realize that this identity is subject to change and might include various fragmented and contested identities. Also, these identities are interpreted by people and stakeholders and used, emphasized or downplayed, by political and other actors in order to serve their own objectives. Source: Govers, R. & Go, F.M. (2009). Place Branding: Glocal, virtual and physical, identities constructed, imagined and experienced. Basingstoke, Hampshire (UK): Palgrave Macmillan; and based on Noordman, T.B.J. (2004). Culture in the City Marketing (in Dutch). Den Haag: Elsevier / Reed Business Publications. Place image can be defined as the total set of impressions that a visitor has of a particular place or ‘reputation’. The image is based on functional (tangible) and psychological (abstract) characteristics that are attribute based (specific measurable elements) or holistic and that can be commonly applicable to many places or uniquely associated with a specific location. The perceived image creates an attitude towards a place (e.g. quality perception, feeling of satisfaction) and, consequently, maybe an intention to visit. Place image can best be measured through the combination of qualitative and quantitative methods with both visitors and non-visitors. This way both reach (# of respondents) and depth (to avoid stereotyping and allow for innovative ideas) are assessed. In general place image studies, several additional attributes can be added to the research, such as export products, level of development, attractive for investment, governance, emotional bonds, achievements / presence, and attractive to work / live / study. An interesting start is to look at the Anholt-GfK Roper Nation Brands Index™ or Anholt-GfK Roper City Brands Index™. However, one has to be cautious with such standardized statistical approaches as the issue of image is too complex and individually constructed, hence requiring a more balanced approach if one wants to gain deeper understanding. Therefore, applying qualitative methods such as, for instance, story telling, picture response or other association techniques – may be a good alternative or complementary study. Projected place image analysis is about understanding what people are actually ‘saying’ about your place, be it by means of word of mouth or the media, in text or in pictures. The most important projected image is often channeled through word-of-mouth, either face-to-face or now, increasingly, online through Web 2.0 applications either on request or spontaneous. Together with people’s own experiences these are referred to as organic image builders. Although these organic sources on the demand side are most influential, there are several other image producers that impact peoples’ perceptions. Other image producers are marketing communications campaigns (e.g. advertising and brochures) that are initiated by place marketers (tourism promotion organizations; trade and investment agencies; convention bureaus; ministries of foreign affairs; chambers of commerce; private businesses and intermediaries (tour operators/travel agents); financial institutions, larger corporations and/or trade associations). These are openly sponsored image builders. Secretly sponsored promotional channels are endorsements by celebrities, travel writers, events, the press in general or through popular culture. More and more public relations initiatives (by place marketers) are actively leveraging the creative industries, media productions, events and sports agencies in order to project attractive images and messages about places. In between these supply and demand side agents another group operates; the so-called autonomous image builders. These sources, such as independently produced guidebooks, news, articles, reports, documentaries, popular culture and programs about the place in the media, have high credibility and market penetration and therefore considerable impact, which, nevertheless, tends to be short-lived if similar reporting is not sustained by other image producers. With advanced technology, cross-media initiatives, utilizing all agents (advertising, social networks, media activation and popular culture) are becoming more popular and are proving their success (see for instance Tourism Queensland’s Best Job in the World campaign). Technology also provides people with richer alternative place experiences, such as in virtual worlds (e.g. Second Life), 3D-cinema and other forms of popular culture or copied environments (for instance in Las Vegas, Dubai or Macau). The boundaries between sponsored or autonomous image builders are therefore increasingly blurred and it is essential to monitor the conversation. The main channels to collect data from are: the press (written or verbal); social networks; printed matter and third-party websites. In order to analyze the projected place image, various methods can be used. One is the qualitative approach of content analysis. For example, we used content analysis of pictures and text to analyze online marketing communications of 20 Dubai based websites, including the majority of the most influential actors in the various tourism sectors. This can also be applied to the analysis of brochures, travel guides, press clippings, and other sources in which places are represented. There are providers out there that offer monitoring services based on content analysis. For instance www.mediatenor.com provides media intelligence. East West Communications does country brand indexes and nation brand communications reports based on the analysis of news reporting in international media. And Google Trends links search traffic statistics to news reporting, while Radian 6 provides social media monitoring and web-analytic tools. However most of these endeavours are standardized approaches. More in-depth results can be retrieved from customized content analysis. Based on the input from the place brand analysis, the design of the place brand essence is grounded in the brand identity, which incorporates the brand name, values, narrative, visual identity and scope. On top of that, the brand essence involves, as with any brand, a reference to the service characteristics of the economic offering. Place branding is often reduced to the design of visual identity and communication even though a place brand uniquely represents an experiential ‘product’. Therefore, the place brand essence should involve the formulation of an experience concept; that is, a vision about the characteristics of the place experience that people can expect as visitors. Lastly, the place brand essence should represent a value match between place identity and the type of audience it tries to attract, which could also be referred to as brand positioning. By far the most important task in defining the brand identity is to formulate authentic brand values that create a sense of belonging and purpose; authenticity; consistency and sensory appeal. There are hundreds of possible values that can describe the way the brand essence reflects the identity of place. For instance, the US reflects values of freedom, consumerism and opportunity. Flanders (the Northern Dutch speaking part of Belgium) brands indulgence, charm, abundance, and vibrancy. The Welsh nation brand values include human place; real people; challenger spirit; and original thinking. The brand values are sometimes translated in brand guidelines, which might encompass directions on the use of pictures, colors, shapes / symbols, language / slogans, icons, sound (and smell), service, traditions and rituals. A place brand, in essence, represents an experiential offering (i.e. experiencing the sense of place). Oftentimes this leads to unexpected encounters as people’s perceived pre-visit place images are often simplified, stereotypical or misconceived perceptions of reality, as they are built only on second-hand information. Places therefore need to design optimal place brand experiences by “imagineering” (a term invented by Disney) experience environments, through the interaction between (potential) visitors and experience networks (public and private parties involved in the place brand offering; e.g. accommodation providers, attractions, visitor centers, ancillary services, residents) in order to establish clear goals and expectations in terms of potential experiences that can be co-created. Access to the experience network should allow visitors to pick and choose and co-create a personal experience through active or passive involvement and relating to others while finding a balance between the challenges and their personal skills. For instance, some people will enjoy more adventurous experiences while others want to experience local life as it is, but they all need to be able to assess the ‘risks’ involved in certain activities and need to be able to access information on ‘where they are’ and ‘where they need to go’ in the process. It therefore needs to be appreciated that organizational transparency in the experience network (see ‘cooperation’) is required as it facilitates the exchange of information and provision of feedback on progress of performance and risk assessments at touch points where sensory stimuli link perceptions to expectations, enhancing the brand. In the 21st century the experience concept should make sure that there is an analogy between physical and virtual experiences, such as in virtual worlds, social networks, augmented realities, television, movies, music, arts, travelling exhibitions, events, online videos or blogs. Interesting opportunities are currently being developed. See for instance the cooperation between Google and New York City. Places need to make strategic choices about how to match brand values with the personal values of specific audiences (e.g. tourists, investors, traders, migrant workers, students). That means that one needs to decide whom to target and whom not; and what you want to be and what not. It requires psychographic segmentation. Psychographic research (e.g. personas; lifestyles) includes investigation of people’s personal values, motivations and goals, which facilitates effective targeting and augments people’s self selection and co-creation of value-matched experiences. It also requires value-matched customized interfaces at touch points; not just in communication, but for instance also on websites and in the physical environment (the application of which is still very limited). One major concern that many stakeholders in place branding processes express is the question of how a coherent and unique brand can be achieved among diverse target groups. This is one of the reasons why many places eventually opt for brand values that include meaningless references to diversity, dynamics, heterogeneity and ‘finding all you might ever want in one place’. Such brands allow for all stakeholders involved (destination marketing organizations, export and foreign investment agencies, or trade organizations) to continue business as usual with their own marketing program without needing to worry about their activities being ‘on-brand’ or not. However, it also means that such brands are often ineffective as the idea of place branding was invented to create perceived distinctive uniqueness in a globalizing world as opposed to being all things to everyone. So how then should places deal with this tension between creating such a unique brand positioning on the one hand, but still allowing for traditional marketing activities aiming at specific target groups? For this, Christian Laesser (2002) introduced the useful concepts of ‘territory related tasks’ and ‘product related tasks’ of place marketing. Territory related tasks are aimed at image creation and communication in relation to a clearly defined geographical space, benefiting all service providers and (potential) customers. In contrast, product related tasks would then include marketing propositions aimed at bundling offers from selected service providers, which match product related requirements, based on a sector / subsector and segmented market exclusion principle. The alignment between territory and product related tasks results in an umbrella brand approach, which allows for flexibility and creativity within specific marketing and policy initiatives. Hence, brand architecture decisions are highly relevant in this context as initiatives need to be evaluated in terms of the extent to which they are ‘on brand’ or not. To implement the place brand essence triangle, several elements need to be put in place. First, an experience concept requires the construction of events, infrastructure (e.g. buildings, landmarks), symbolic actions, and supporting policies. In other words, place branding cannot be based on communication alone; it requires actual product development as well. Nevertheless, communication is key and therefore involves the second element of the place brand implementation triangle. Finally, such building of place experiences and consistent projection of the brand essence requires cooperation from many stakeholders. Place marketers often look at place promotion from few perspectives, utilizing a target market approach. This is much different from the place branding approach advocated here. The role of place marketers has shifted in recent years from pure marketing organizations to public-private bodies that are also involved in product development, industry relations and policy change. This provides the opportunity for such institutions to not just project the identity of place, but also to physically change it and enhance the product offering. In other words, place branding involves heavy investment in substance; i.e. real place development (place making). Place branding involves heavy investment in substance; i.e. real place development (place making). Several components are of direct relevance in the context of tourism, trade, talent (employment opportunities) and treasury (investment opportunities). Each of these four categories includes actual products, services and experiences that enhance market potential. Ancillary services (visitor centers, insurance and financial services). Talent is being attracted through some of the same offerings, including a rich and dynamic network of cultural activities, but also by offering income tax benefits, good healthcare, international schooling systems, knowledge specialization and attractive housing. Additional offerings for investors and traders include tax reliefs and factor cost benefits (such as cost, productivity or quality benefits on land, raw materials and/or labor). As such, networks of loosely-coupled industries supported by effective policies, create the conditions for worthwhile visitor experiences and product offerings. Hence, successful construction can only happen through a structural cooperative effort, which will be addressed later as another element of the place brand implementation phase. A quick win when it comes to materializing experience concepts and brand associations is through cultural projects, events, museum collections; travelling exhibitions or targeted infrastructural projects. Among the experience constructs ‘landmarks’ (what we refer to as ‘experience icons’) have a major stake in catching the public’s eye, amidst an overload of experience offerings from competitors. Icons and man-made world wonders of the past – still existing Egyptian, Greek, Mayan and Inca structures; the Great Wall; the Taj Mahal; the Empire State Building, the Golden Gate Bridge, the Eiffel Tower, Big Ben, the Statue of Liberty; the Corcovado-Christ Statue of Rio de Janeiro; or Petronas Towers – seem to have been rooted in religious, power and security concerns. However, in this century, many new icons are built for the sake of consumption experience. Maybe one of the first was the Burj Al Arab in Dubai, which, as a hotel and leisure complex, opened its doors just before the start of the new millennium. It has put Dubai on the world map as a tourist destination and global hub years before most of the other mega-projects in Dubai were first announced. Other known examples that are often used as best practices in relation to place branding and that could be categorized as experience icons are the Guggenheim in Bilbao, the Palm Islands in Dubai, Beijing’s Bird Nest and Water Cube. Does this indicate that consumption experience is the new religion heralding the experience economy? Maybe not, if we consider the fact that the Roman Coliseum and other amphitheaters were built millennia ago. Nevertheless, allowing for these few exceptions and the fact that experience icons like Las Vegas and the Disney parks have been around for a while, place branding on experience icons seems to be the new strategy for many places, if we consider additional examples such as for instance the Millennium Dome; Eden project; London Eye; Shanghai Expo; or Autostadt. Of course, this does not mean that there can be no place branding without iconic projects. Many, if not most, countries, regions or cities already accommodate unique and worthwhile experience environments or cultural assets; sometimes undeveloped or perceived by locals as uninteresting. By attaching value matched experience concepts to them and developing them through imagineering, renovation, accessibility programs, edutainment remodeling and/or upgrading through events and festivals, changed policies or other non-iconic symbolic actions, such resources can be exploited in order to enhance place brand positioning for attracting tourists, talent, investors and trade. The many successful waterfront developments and revitalization projects in some of the world’s major cities are examples of this. With technology, information overload is omnipresent and getting one’s message across to the right consumer at the right time will be essential. Places need to start preparing themselves to be able to manage their narratives and consistently project the same images through the right channels, but in a flexible customized manner. Hence, understanding of search engine optimization, online marketing, mobile communications, online social networks and community building become essential skills. As a result, just having a website is not enough. Of course, for consumers who have already positioned a destination in their choice-set and are actively searching for detailed information, the increasingly rich site content of place marketing organizations will be very useful. However, places should want to create a strong, consistent (yet customized) brand, regardless of which phase of the decision making process a potential customer is in, or in what choice set the destination is placed. For example, in the early phases of the decision-making process or with potential clients with low levels of awareness, this is probably not done through place-specific websites. More likely, the (social) media, intermediaries and cybermediairies, virtual travel communities, review and blogging sites (Web 2.0) and portals will have a large influence on this process. This, for instance, is one of the reasons for the success of Tourism Queensland’s Best Job in the World campaign, feeding Web 2.0 dynamics, through symbolic actions, into traditional media. So, how to push one’s content and consistent communications through these channels and how to control user generated content? The internet technology of RSS feeds might be useful in this respect. RSS-syndicated content includes such data as news feeds, events listings, news stories, headlines, project updates, excerpts from discussion forums or even corporate information. Even blog-content can be fed into RSS, making mass peer to peer communication even more accessible, further encouraging active bloggers. This technology would allow place marketers to manage content all the way through to the consumers’ desktops and mobile devices, supporting a strong branding strategy and management of diverse perceptions. Combined with other technologies, such as provided through ambient intelligence, augmented reality and virtual environments, that would allow for completely customized but consistent content feeding and customer communication. What it does is that it will allow the place experience network stakeholders to sense and respond to individual customers’ expectations and take measures that provide exclusive access to any source of information, at any place and time, and facilitate customized communications and experiences. But, of course, if customers’ locations, expectations, connectedness and profiles are known, it provides great opportunities to push customized and balanced information as well. This would allow places to narrate their story and communicate this in a customized way, dealing with, but at the same time leveraging, diverse perceptions across media channels. In order to establish consistent and customized place brand substance, it is important to cooperate with a large group of stakeholders, preferably from all layers of society. However, co-opting and involving stakeholders is probably the toughest part of the place branding exercise, in particular when they lack resources, community, vision and control. We contend that place brand communities are the way forward. Nevertheless, this is a very complicated process. If done in the right way, just as in corporate branding, a place branding campaign can have a dramatic effect on the morale, team spirit and sense of purpose of the participants (companies and residents). Nicholas Ind refers to this as “living the brand”. What is needed is the creation of a ‘community of practice’, which comes together around common interests and expertise. They create, share and apply knowledge within and across the boundaries of the participating organisations. Communities of practice need to be cultivated as a ways to create a common ground among stakeholders. The success of the place brand community depends on the commitment and development of shared vision between the different stakeholders. This is a difficult process since all stakeholders operate in their own local context, holding different values and perspectives and only limited resources to interact with other stakeholders and develop a common ground. To provide value for participation, the identity of the destination brand community should be closely aligned with strategic priorities of the different stakeholders. A strong community fosters interactions and relationships based on mutual respect and trust. It needs to develop interpersonal relationships that reinforce commitment and trust between individuals. Reciprocity is of major importance within a community. Without it, the community is unlikely to sustain. However, the levels of participation will probably be very organic as stakeholders are constantly evaluating their goals and looking for new ways in which the community can contribute to their individual needs and those of the collective. Rather than force participation, successful communities such as ours ‘build benches’ for those on the sidelines, for example through a (digital) newsletter or branded place with the latest news [as well as private spaces for personal networking]. By putting community related information on the internet (as website content or database documents), members can catch up with the latest news wherever they want. Discussion boards and who-does-what facilities make dispersed ‘invisible’ members visible, bringing the community alive in an online environment. But it also facilitates the planning of gatherings where the community members can communicate face-to-face with each other. Face-to-face contact is the richest form of communication, providing space for stakeholders to build trust and share complex knowledge through (informal) discussions, and brainstorm sessions. Exploit the value of positive word of mouth/mouse by providing subconscious or real cues that create common stories for consumers to share. To assess the effectiveness of the new place brand, a periodic measurement of the brand’s equity or brand value is required. Brand equity is built not only through place image and brand satisfaction/loyalty , but also through name awareness (i.e. one can not build a strong image and satisfaction if there is limited awareness of the place brand). Brand awareness refers to the proportion of respondents in target groups that know of the brand’s existence. This can be measured through un-assisted brand awareness: do target groups mention the brand when asked to name a few in a certain category (e.g. capital cities or emerging countries)? Awareness: Do target groups mention the brand? Do people recognise the name of the place when mentioned? This is called brand recall. Top of mind awareness then refers to the proportion of respondents in target groups that name the brand first; i.e. top spontaneous brand recall. Assisted brand awareness measures brand recognition: do people recognise the name of the place when mentioned? Perceived image and satisfaction/loyalty need to be measured in target markets among (potential) tourists, investors, traders and expats pre- and post visit. This would facilitate an assessment of the value of the brand (equity), but particularly creates excellent opportunities for longitudinal and cross-sectional analysis in case of repeated measurements as well as benchmark assessments for competing brands. Don’t only look at perceived image, awareness and satisfaction/loyalty among final demand, but also at projected image, i.e. what are people saying about you. This includes an analysis of media coverage, but in this day and age, also an analysis of online communities, i.e. what are people saying about your brand on blogs, Facebook, Twitter, virtual communities and online virtual worlds, etc. Projected image: What are people saying about you? One could even go as far as to assess place image, awareness and quality perceptions among intermediaries and opinion leaders, such as journalists, travel writers, investment agencies, tour operators, recruiters or travel agents. Enjoyed this step-by-step guide to place branding? Spread the word!